The CD4043B IC's are quad cross-coupled 3-state CMOS NOR latches and the CD4044B types are quad cross-coupled 3-state CMOS NAND latches. Each latch has a separate Q output and individual SET and RESET inputs. 3-state outputs with common output ENABLE. Separate SET and RESET inputs for each latch. Maximum input current of 1 µA at 18 V over full package temperature range; 100 nA at 18 V and 25°C. Holding register in multi-register system. Four bits of independent storage with output ENABLE. CD4043B for positive logic systems. 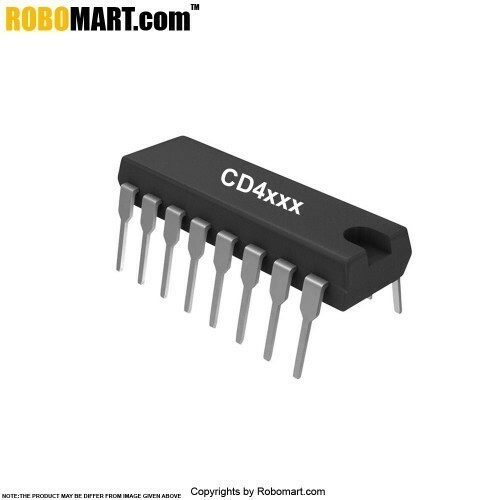 CD4044B for negative logic systems. Also Searched as : CD 4043 ic, RS Latch tristate Quad NOR gate.